A fifty-fifty ball is a loose ball that either team has a half chance at getting and grabbing and having and holding. And the Houston Rockets won Game 7 against the Los Angeles Clippers because they won most of the fifty-fifty balls. Most of the bobbles went their way and most of the bobbles didn’t go astray because the Rockets are rising. Why? Because they won the fight for the fifty-fifty balls when the game was in doubt and the chips were down and the jig was up. Fifty-fifty balls may bounce and bound and carry and carom and rip and ricochet in a thousand different directions. Every ball may not bounce your way and in every game it may not be your day and that is why you have to will and want and win the fifty-fifty balls. You have to want it. You need to will it. Otherwise, you won’t win it and it will be just up for grabs. In Game 7 against the Clippers, the fifty-fifty balls rimed and rolled to the Rockets. 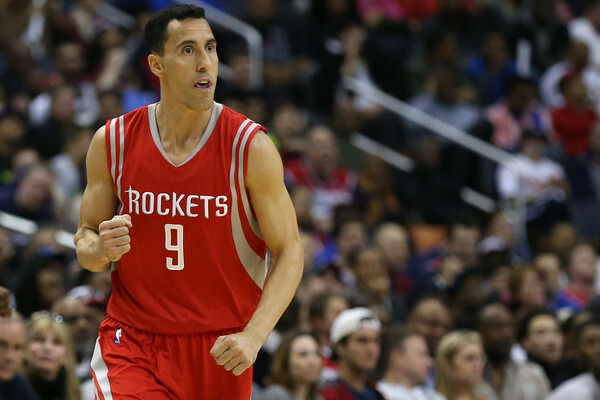 Houston Rockets reserve Pablo Prigioni, a 38 year-old Argentinian reserve may well have won the game and the series by running and reaching and straining and stretching for the fifty-fifty balls. He won the fifty-fifty balls when his team needed them most. A well-traveled third year point guard who won an Olympic Bronze Medal may well head up and anchor down the best bench in these playoffs. And when you come in the game off of the bench you need to provide and produce and generate and invigorate your team — and Prigioni did just that. So let’s take it from my man Pablo Prigioni, a proven and productive, tried and true role player who I never heard of before today’s game. Let’s go after all of those loose balls and let’s keep playing even after all of those missed calls because there is awesome advantage and great gain in going for what others consider a lost cause and a futile fantasy. That loose ball could go out-of-bounds or you could get it and stay in bounds and turn leftovers and near turnovers into game changers and game breakers. But first you have to make up in your mind that the loose, fifty-fifty ball is yours. Next > Did They Win or Did You Lose?